Fantastic deals on the day, with discounts and special offers that can’t be missed - or repeated! 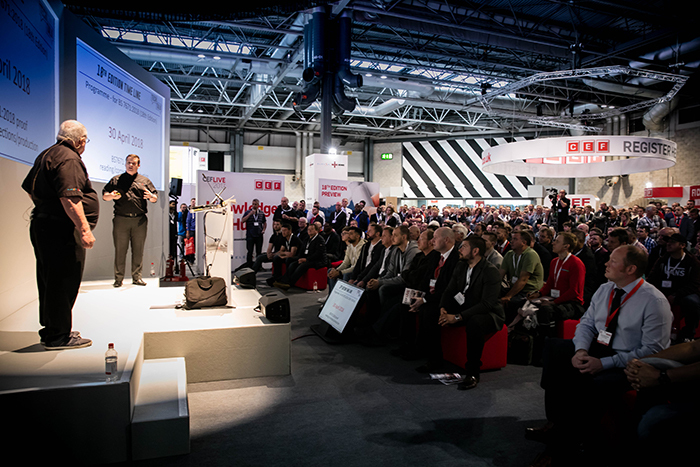 CEF LIVE 2019 is opening its doors at the NEC for the third time and this year we will offer attendees two days of free educational content from industry experts and leading suppliers! This year’s programme is the most comprehensive yet and will be packed with fresh ideas and insights along with brand new cutting edge technology. We hope that you are as excited about the amazing WOW DEALS as we are. These offers are only available at CEF LIVE and are not to be missed - they won’t be repeated or be available from CEF stores so don’t miss out. Remember, all deals are strictly whilst stocks last - when they’re gone, they’re gone! It couldn’t be easier to grab yourself one of these deals.. On the day simply head to the stand[s] you wish to buy from and you can complete your purchase there and then. You can pay via cash, card or account, and keep your purchases in our dedicated storage zone until you’re ready to go home. We’ll even throw in a giant CEF shopping bag – so there really is no reason not to fill it! KEEP CHECKING BACK, DEALS TO BE RELEASED PRIOR TO THE EVENT! The NEC is right in the centre of the UK’s motorway network just off Junction 6 of the M42 and there will be ample free parking, the NEC is also easily accessible via Birmingham International railway station which is just a 5-minute walk away. Not sure of the best way to get to the NEC? Don’t worry, we’ve got you covered. See below for our top tips on how to get to and stay around the NEC. We recommend using the postcode B40 1NT. The NEC will be clearly signposted from all motorways and major routes including the M42, M40 and M6. When you arrive at the NEC do not follow your satnav, but instead follow the signs for CEF LIVE in Hall 9. The NEC has over 16,500 parking spaces. The traffic team will be on-hand to help you with any further guidance. Once you have parked get the free shuttle bus or walk following the sign-posted footpaths. The NEC is located less than a ten-minute walk from the Birmingham International railway station. Direct services run all day. If you are travelling from further afield you may need to catch a connecting train at Birmingham New Street, less than a 15-minute journey away. Birmingham Airport is located right on the doorstep to the NEC. Take the free fast air-rail link to the Birmingham International railway station located at the upper level of Terminal 1. The trains run every two minutes and the journey itself takes 90 seconds. When you arrive follow signs to the NEC. Please park in N2 car park. 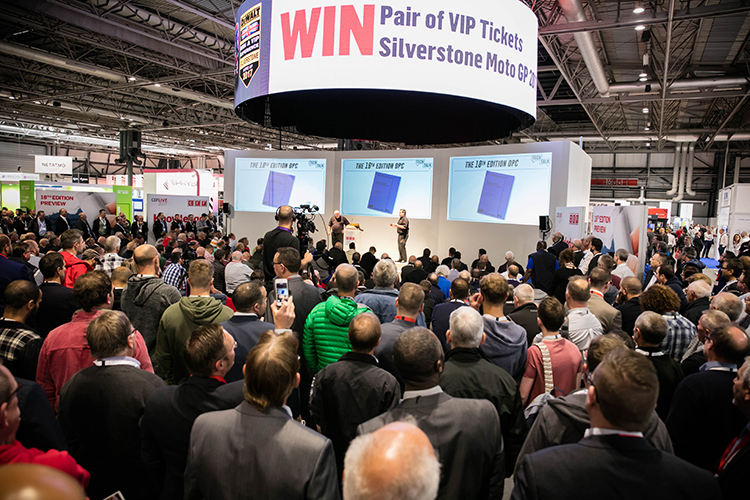 On arrival at the NEC, there will be electronic signage directing CEF LIVE visitors to the right car park area (N2), parking is free of charge. Once you’ve parked please use the shuttle provided, or walk to the halls using the sign-posted footpaths to Hall 9. There are other events on at the NEC with paid parking, so don’t forget to keep and show your badge to make sure yours is complimentary! There are several hotels onsite at the NEC and nearby at Birmingham airport if you intend to stay overnight locally. 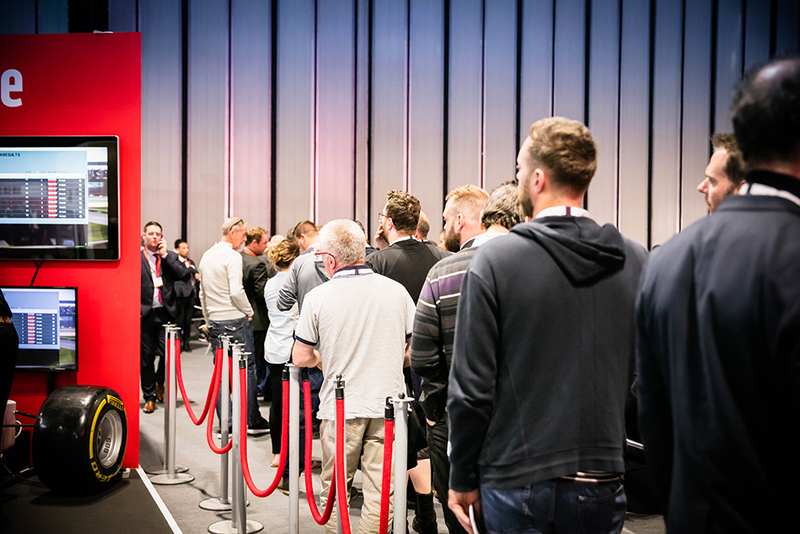 CEF LIVE will bring suppliers and professionals working across the electrical sector together, allowing visitors to view and engage with industry leading brands, exclusive on-the-day offers and vital information about upcoming industry changes. CEF LIVE takes place on Thursday 6‌th June, 2019 from 09:00 until 16:00 and Friday 7‌th June, 2019 from 09:00 until 15:30 in NEC, Birmingham UK. The timetable of speakers will help you plan your day and don’t forget there’s free food and refreshments so make sure you hang around for lunch. 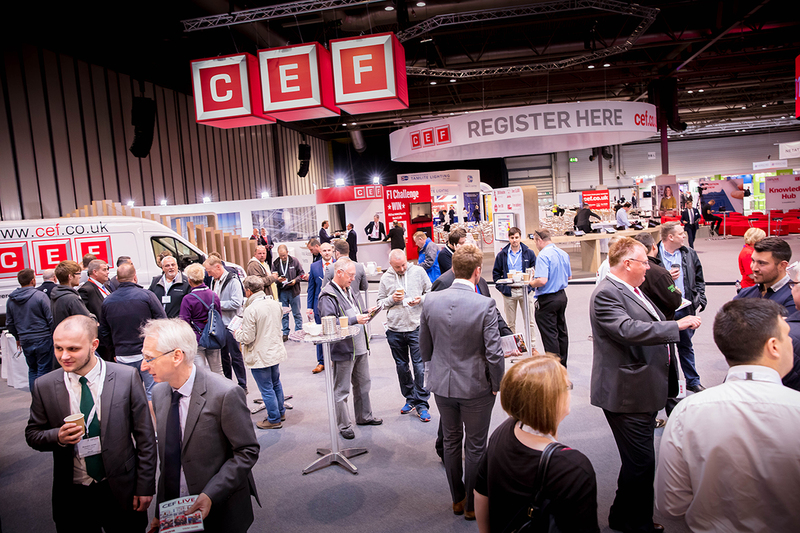 CEF LIVE is for professionals working across the electrical sector who are looking to discover the latest trends in the electrical industry and pick up some of the latest products at unbeatable prices. See the Registration page here. It’s quick and easy and don’t forget pre-registration results in that all important discount voucher! How much does it cost for visitors to attend? It doesn’t. Visitors can attend for FREE over one or both days, simply register your attendance and you will receive a £50 voucher * to spend at CEF online when you spend over £100. 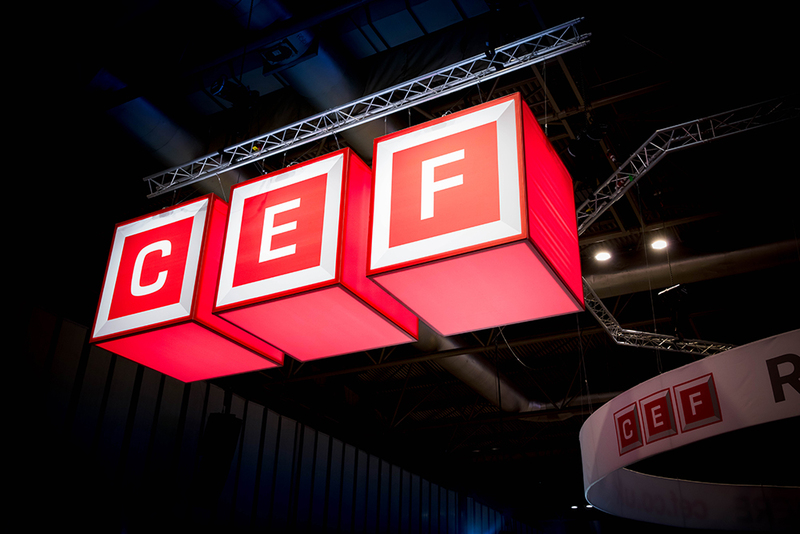 *Terms & Conditions: This offer is available to anybody who has registered to attend CEF LIVE 2019 at the NEC, Birmingham and who then attends the event and completes the required registration process. Voucher is valid only when used at cef.co.uk and cannot be used in CEF stores. Vouchers are non-transferrable and may only be redeemed once. Vouchers cannot be used in conjunction with any other offer or voucher. Voucher is limited to one transaction per person and one voucher per transaction. Orders must be placed between June 6th 2019 and midnight on 30th June 2019. When using this voucher the unique serial code must be entered at checkout. The £50 reduction will be applied when the order value is £100 or greater and a valid serial code is entered. If an order contains products where the required quantity is not in stock, goods will be supplied in full [1 delivery] once all items are available. Any refunds will take into account the £50 saving applied to the transaction. This offer is not available to CEF employees or employees of any CEF associated company or their immediate family. CEF reserve the right to reject this voucher with reasonable cause. Discount voucher has no cash value. CEF Terms and Conditions of Sale apply.